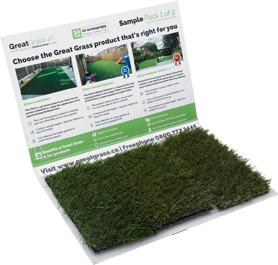 Great Grass may be our name, and while it’s true that we’re ranked as one of the leading suppliers of artificial grass in the UK, we didn’t get that hard earned reputation without providing an equally great standard of service alongside our incredibly varied artificial grass products. We’ll always be there for any customer that needs our expertise, whether that’s through answering questions and queries effectively or putting our practical knowledge to use in providing installation services. Great service is getting everything right, after all, and one of the most important parts of the whole process of getting your artificial grass put in place is indeed installation! Doing a fantastic job the first time around can really ensure a solid foundation on which long term success can be built, which seems obvious to say, but it is unquestionably a vital consideration that shouldn’t be underestimated. That’s why we here at Great Grass will always be able to provide expert installation services courtesy of a team of experts who know exactly what they’re doing, ensuring nothing but the highest standards the first time around. There’s no need to risk running into even the smallest problems or unwanted issues, after all, so it really does pay to invest in professionals that know what they’re doing. We’re always waiting to hear from you, and we’d jump at the chance to transform your garden into an evergreen, maintenance-free paradise courtesy of our incredible artificial grass. Let us know what you’re looking for, and we’ll tell you all about how our uniquely talented approach could work for you! Here at Great Grass, we’re one hundred percent dedicated to ensuring you receive nothing but the finest standards of service, as we believe that even the best quality artificial grass wouldn’t be much without the right team to put everything in place, provide experienced insight and ensure that everything goes as smoothly as possible. Don’t wait to give us a call or drop us an email; our full contact details can be found on our website.